This resource helps students connect majors to careers. They also learn about the typical career areas , types of employers that hire people with each major, and strategies to make them a more marketable candidate. Visit http://whatcanidowiththismajor.com/major/ to learn more. Interview Stream is an online mock interviewing site that allows students to practice their interviewing skills. Students can see, hear and record themselves responding to real interview questions before being in front of an employer. 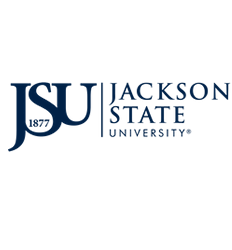 Visit https://jacksonstate.interviewstream.com to learn more. Career Guides – The CSC provides Career Guides to students both in print and electronically as a resource for our students to further assist with their career planning. Information regarding career planning tips, resume/cover letter writing, interview preparation, dressing for success, etiquette tips and more are included. To see the electronic version of the Career Guide visit http://www.jsums.edu/careers. What are classroom and group presentations? TypeFocus is an online career development program that assesses the student’s personality, interests and values to help choose careers that match their natural strengths. Visit https://www.typefocus.com to learn more. What is Tigers to Work? Tigers2Work is a web-based recruiting system that allows JSU students and alumni to electronically submit resumes to employers, search for internships, part-time, student employment and full-time job opportunities, and search for employer information. Visit https://jsums-csm.symplicity.com/ to learn more.